We are delighted to bring you this fantastic, award winning, exclusive plant after 13 years in development! With THREE conspicuous stages per year it is a truly fabulous plant. In its first stage in autumn the flowerbuds are white. In its second stage these colour attractively deep red. Finally, in its third stage the small but pleasantly fragrant white flowers open. All these dramatic colour changes occur against a background of attractive silver-variegated foliage. 'Magic Marlot' will be a jewel in every garden. 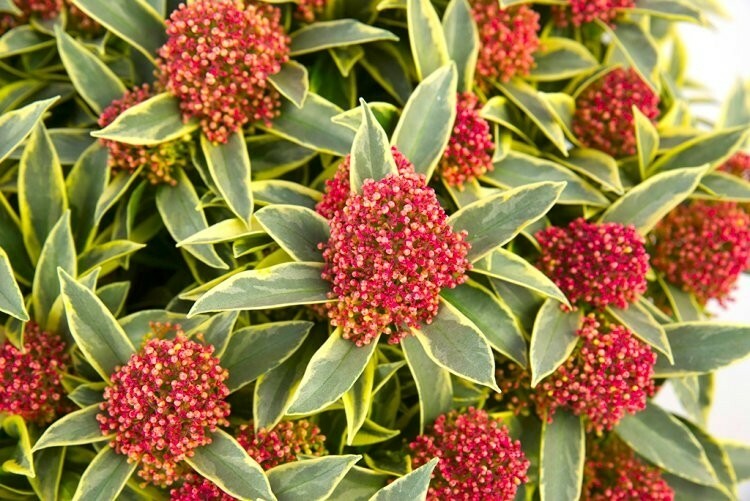 Magic Marlot combines a compact habit, variegated foliage, rich flowering, excellent colouration from autumn into spring and good winter hardiness into a unique and successful plant for a variety of garden situations. It is highly ornamental over a long period, and surprises everyone with each colour-change. 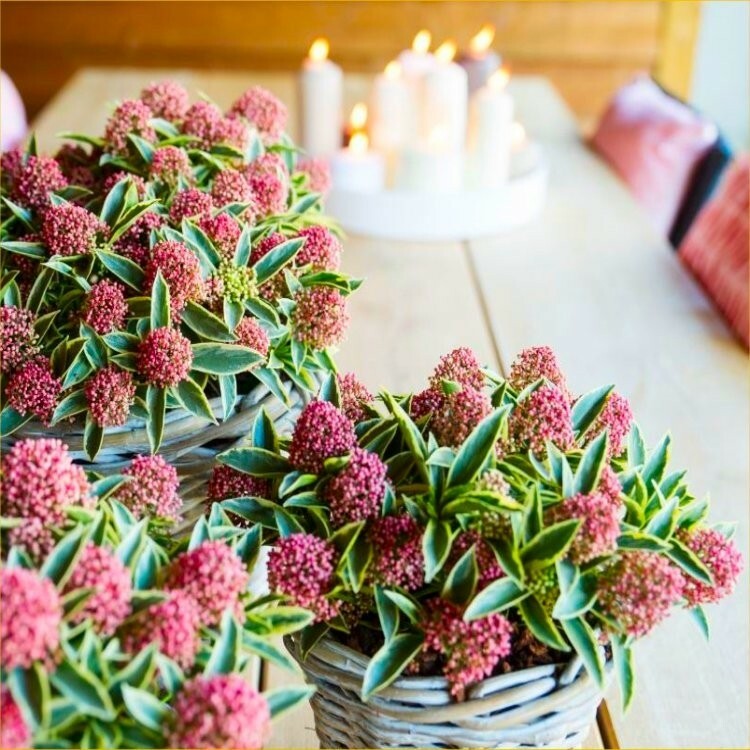 Three Plants, each supplied in approx 9cm pots - bushy plants complete with beautiful buds, they are perfect for planting out in the garden or for displaying in seasonal planters and looking good for the next few months. Don't forget the attractive evergreen foliage when the flowers do eventually fade. 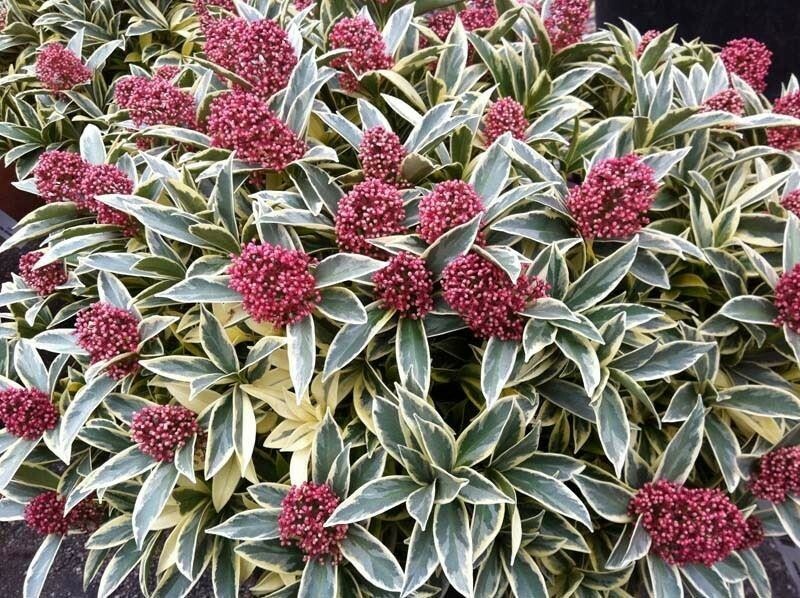 Simply Plant and enjoy this splendid dwarf Skimmia for years to come.